Many individuals are becoming more aware and more vigilant about what they put into their bodies. Many are choosing organics to promote health. Why would you do anything less for what goes on your body? Finding organic products used to be a challenge but these days they are everywhere. But finding a product that will give you the desired results and yet have the reputation to uphold organic standards can be a challenge. Image Skincare’s Ormedic line, has an incredible reputation to provide both. Some people might be wary of using organic skincare solutions, fearing the results will not be as effective as clinically driven products. Make no mistake, Image Skincare’s Ormedic products offer the best of both worlds! The line combines the purest organic ingredients with medical effectiveness to achieve clinically proven results. The organic ingredients in Image Skincare Ormedic products contain natural ingredients that nurture, rejuvenate and heal while reducing the risk of skin irritation and flare-ups. But why choose organic ingredients at all? Much of what we apply we apply on our skin is absorbed by our bodies. Some chemicals even enter our bloodstream. Much of the skincare on the market today contains synthetic substances that are highly processed and not very skin-friendly. The most offensive compounds seem to be fragrances and preservatives. These can cause irritation or allergies. All of Image Skincare’s products offer the highest quality ingredients with a variety of features to suit specialized needs. 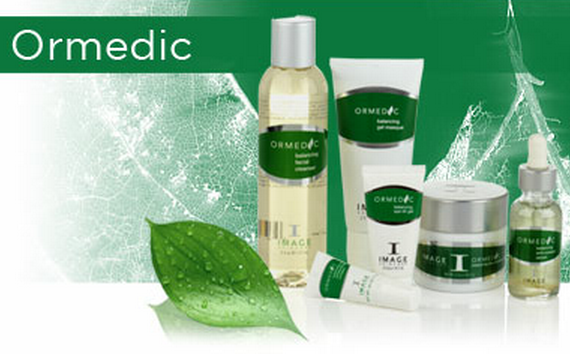 The Ormedic line focuses on promoting clear, healthy skin by mixing potent anti-oxidants with organic ingredients. At the same time, they avoid nasty chemicals, harsh acids or the potentially cancer-causing parabens. Designed for all skin types, Image Ormedic is especially effective for post-treatment, for easily irritated skin or during the healing phase of a post-operative wound. Remember, there’s only one body in this life, so caring for it makes sense. Choosing products with high-quality organic ingredients such as Image Skincare Ormedic Line is vital to promoting, rather than harming the health and beauty of your skin.